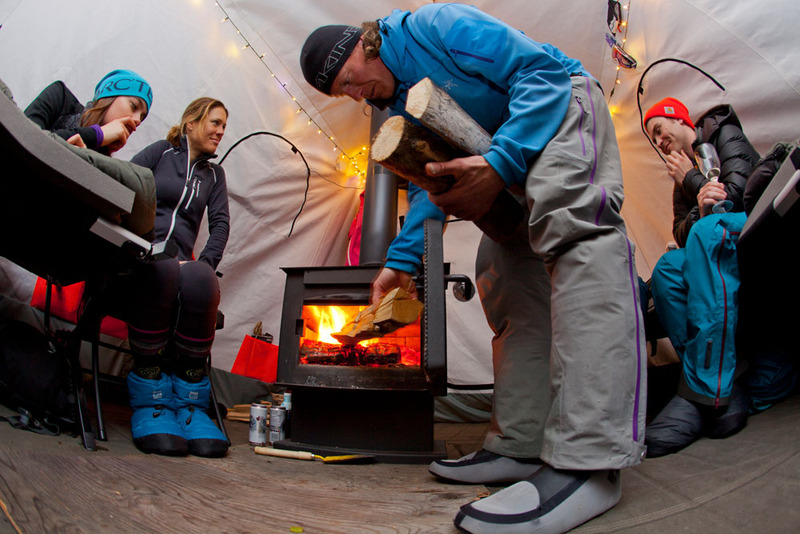 Overnight and multi day ski touring trips in heated expedition tents. Well appointed overnight packages you can do with a day pack. 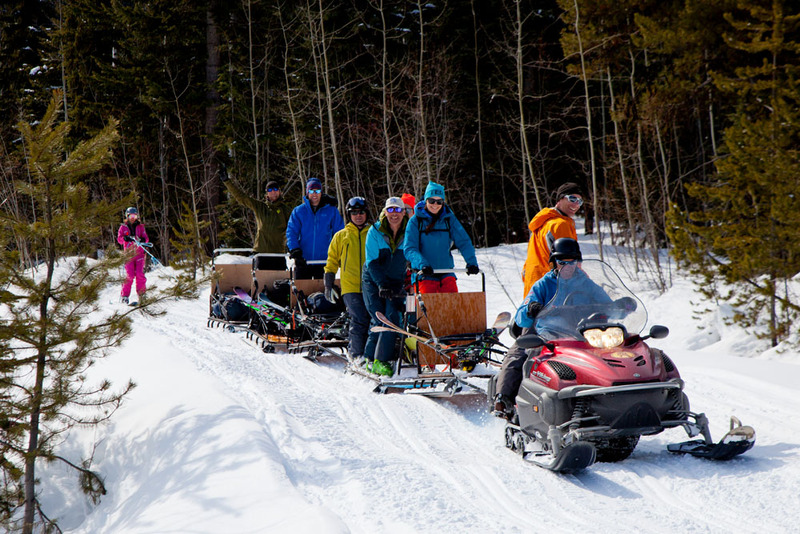 Experience an all inclusive backcountry expedition that is short, easy and comfortable. 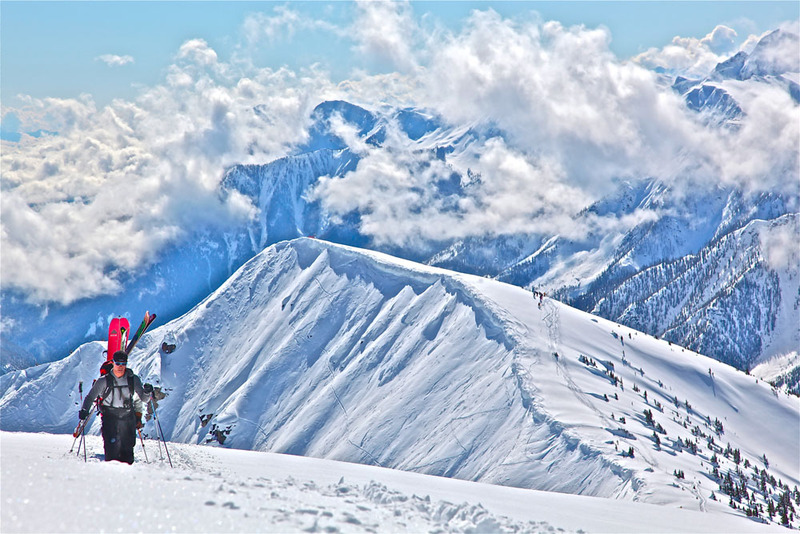 By staying on-site in the skiing terrain, riders are able to ski more, work less and have time away from civilization in a comfortable wilderness setting. 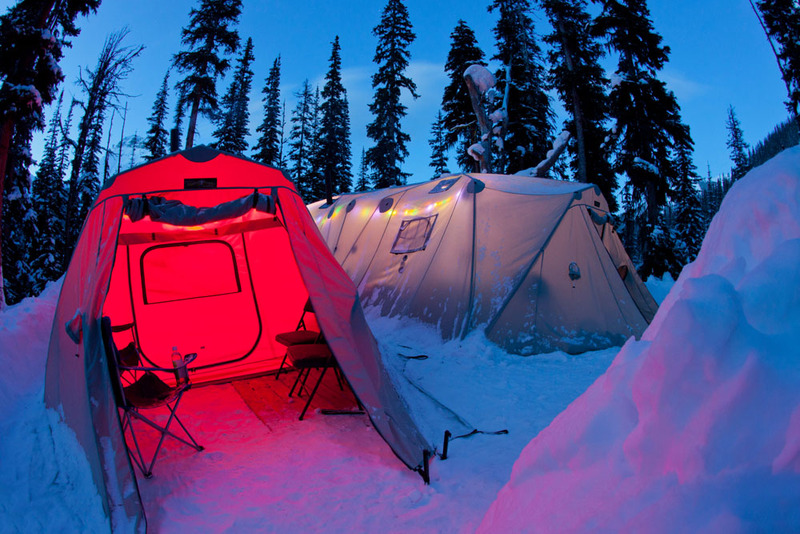 Groups of up to 12 people stay in large expedition style, double walled tents that are heated by wood stove and condensation free. 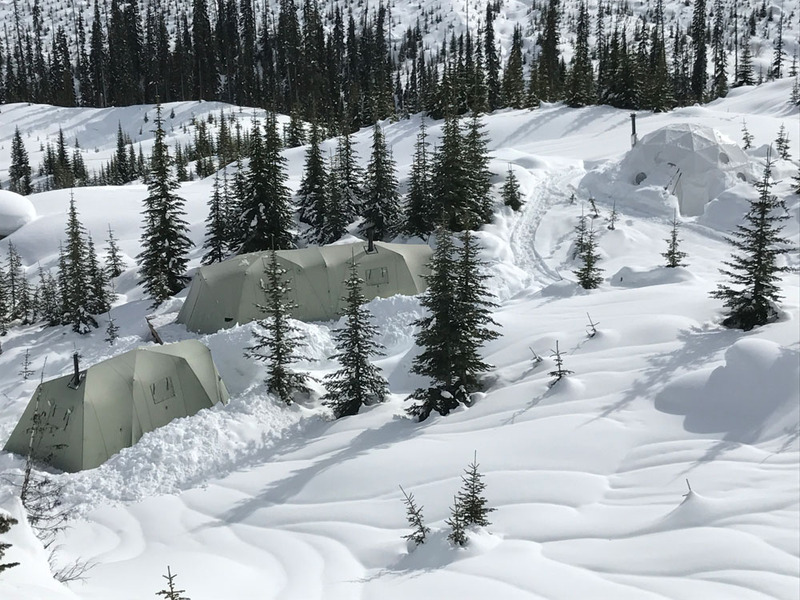 These tents are fully outfitted and guest need only bring their regular day touring equipment, snacks, spirits and a tooth brush. 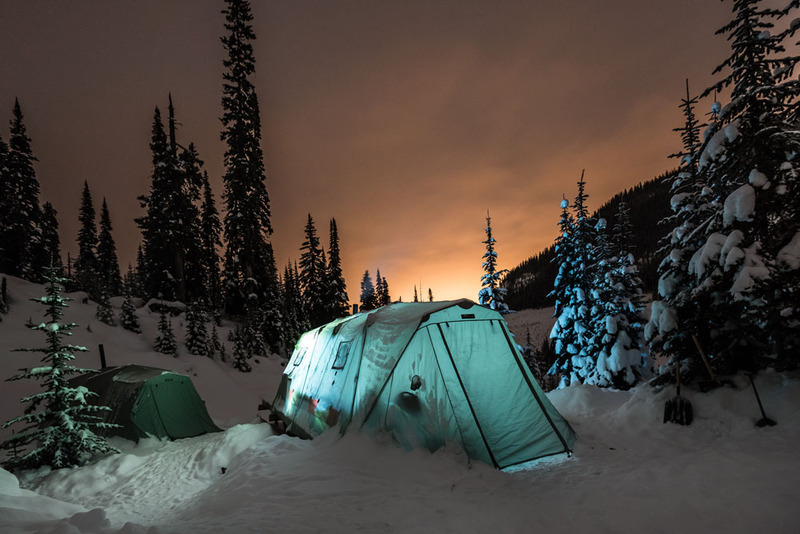 Experience a night out in the backcountry with breakfast, lunch and dinner provided. A great primmer to prepare participants for bigger and longer expeditions. 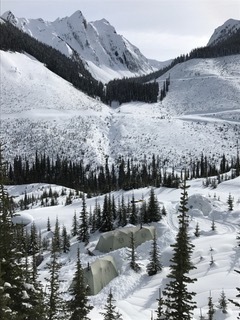 Many harder, exposed ski mountaineering routes are accessible in the area when avalanche conditions allow. 8:30 Drive to snowmobile stagging. 1:00 Couple more laps in the afternoon. 5:30 Return to camp for dinner and drinks.